Check Us Out Each Wednesday Night@9pm est. 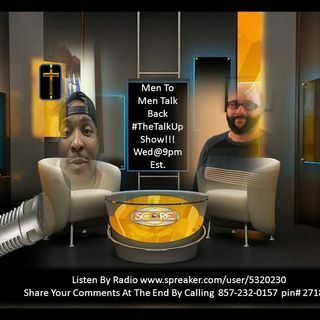 On "Men To Men Talk Back @TheTalkUpShow"
Join Men To Men Talk Back @TheTalkUpShow each Wednesday night at 9pm est. for different topics and conversation, Host: Pastor Nino Akridge and Co-Host: Pastor Karl Young!!! !